A piece of country heaven... 20 acres just below Farmington. Located in Farmington School district. Lots of recreational area. 4 Wheeler paths, above ground swimming and woods for hunting. 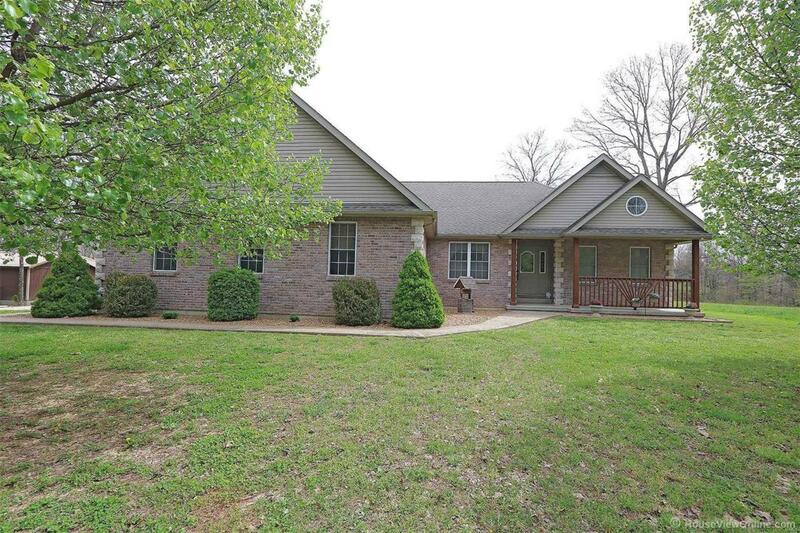 This 4 bedroom home is a full brick with stone accents. Living room with wood burning fireplace, nice sized kitchen with breakfast area. Master bedroom offers bath with double vanity and jetted tub. Basement is a full partially finished basement that walks out to patio area. Mother in law house is just an added bonus. 24x36 pole barn with lean to. Above ground pool.